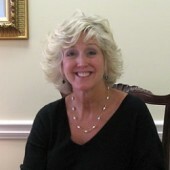 Elizabeth S. Cook is a real estate attorney office based in the Atlanta area. We pride ourselves on being accessible, efficient, and reliable while making your real estate closing an enjoyable experience. We are dedicated to faithfully providing the personal attention and consistent service often lacking at larger law firms. We represent our clients in the same manner in which we would want to be represented: with a high level of respect, reliability, and efficiency. Contact us today for more information!